Reading, Berkshire Based Double Glazing Windows, Doors and Conservatories. Welcome to Buddlian Windows, we are a local family run Reading based double glazing company. ​We specialise in the design and installation and repair of double glazing, windows, doors, bi fold doors conservatories, fascias, soffits, guttering and also roofing services in Reading and the surrounding towns and Villages throughout Berkshire. We are here to provide a personalised bespoke service to meet your needs and demands with no annoying pushy salesmen involved. We do not and wont ask for a decision on the day. Phil will measure up all your windows and doors, he will then show you the many different options and designs to choose from. From start to finish Phil the owner of Buddlian Windows will be your first and last point of contact through the whole process from the first call. Free site survey and consultation showing you the many options for double glazing windows, doors and conservatory designs using our many brochures and to the installation service. From a single door to a full house no job is to small or big for us as we have worked on very large impressive properties in the Reading area over the years for the general public, local contractors and the local authorities. We have Provided an excellent service throughout Reading to many happy customers with no complaints and receive a lot of satisfied customer referrals, due to our workmanship, honesty and polite service since 2009 and always aim to please . We replace Roofline products Facias, Soffits, Guttering, Cladding and all other items. There are many designs and options to choose from regarding Double Glazing. ​Different colours, sizes and dimensions. 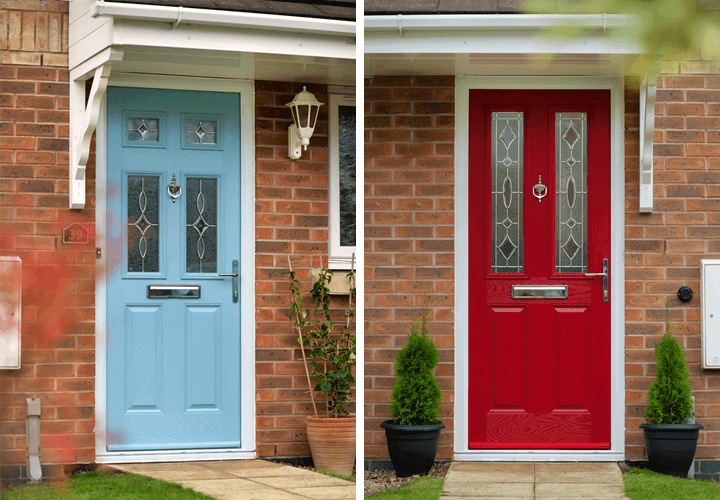 External Front, back or side door, from wood, composite and uPVC many designs to choose from and colours. Bold uPVC and ali-fuminium folding doors, plenty of designs and options to choose from. We offer a bespoke design and installation service with many options and designs to choose from. We are a local company that care, being local and based in Reading, Berkshire choosing a local double glazing company is the best possible option for you as we do offer an after care service if needed, be it one door replacement, or a full property double glazing replacement we provide a 10 year no quibble guarantee for piece of mind. We are experts in Double Glazing, in the very unlikely event there has been any damages caused by our Installation team we are insured, we will repair any damage with the up most urgency as we are committed in providing an excellent service, and our motto is the job is only ever finished when our customer is very satisfied with the service provided. Phil will bring with him a large collection of brochures to show you the different options you have and give you the opportunity to choose the design, color and the type of double glazing doors and windows you desire. Phil will then commence a free site survey and consultation, measure all the windows and doors you require to be replaced and then will forward you a free no obligation quote. If you are then happy with the product, price. Phil will arrange at a time and date that suits you to install your new double glazing.